TRAGEDY has struck twice in four days in Noosa after a 60-year-old man died while swimming at world famous Main Beach. The man's death was the second drowning-related death in Noosa in four days after 30-year-old Lindsay Connolly died while bodyboarding at nearby Dolphin Point on Monday. 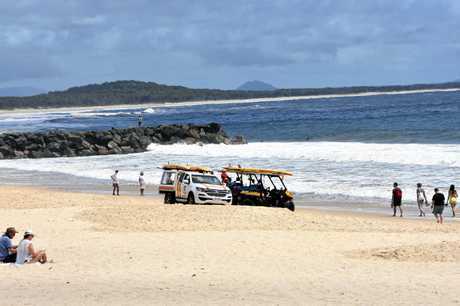 The 60-year-old interstate man was found face-down in the water about 400m down the beach from the flagged area at Noosa Main Beach. Another swimmer dragged the man into the shallows where lifeguards began tireless efforts to try and revive him. A passer-by saw the tragedy unfold about 8.45am Thursday. Ambos sound warning after two drownings in a week: QAS operations supervisor Nick Haug speaks after another tragedy. She asked not to be identified, but praised the efforts of lifeguards and paramedics. She said the man had been face down in relatively calm conditions and she was unsure whether he'd suffered a heart attack or some other medical episode before he was pulled from the water. "For 20-25 minutes they did not stop compressions. They tried so, so, so hard," the woman said. The deaths have sparked timely warnings from surf lifesaving figures barely three weeks into the new season. Surf Life Saving Queensland Sunshine Coast regional manager Aaron Purchase said it was "certainly not a good start" to the surf lifesaving season. 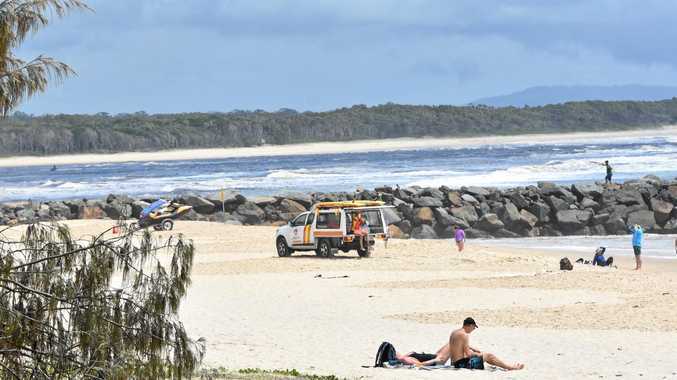 The stretch of beaches from Noosa National Park's Tea Tree Bay to Peregian was identified as Queensland's worst black spot in the recent Surf Life Saving Queensland Coast Safe Report. The Noosa north shore to Double Island stretch was also listed as one of the state's most notorious sites. 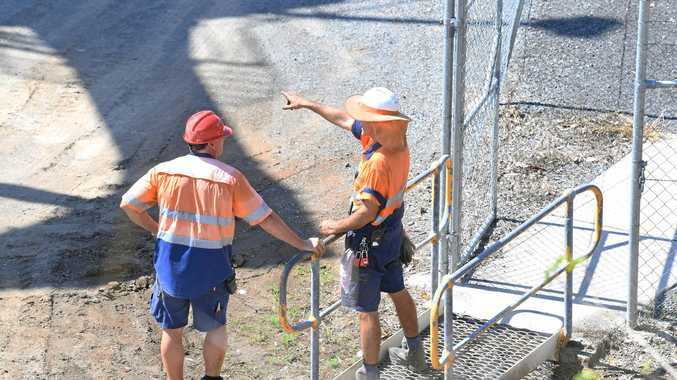 Mr Purchase said the sheer popularity of the Noosa area was a contributing factor to the number of incidents reported. He said the National Park areas were treacherous at times but the Main Beach was usually a safe haven for swimmers. "Generally speaking it's relatively safe but you can have tragedies occur even on the most placid of days," he said. He said the history of incidents in the National Park area coupled with its large, unpatrolled (except for roving services) area and relatively remote location had cemented it as a black spot. "It's relatively exposed as well," Mr Purchase said. 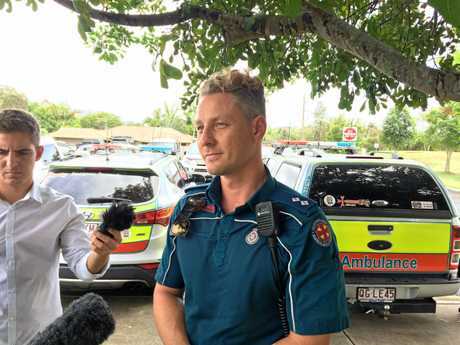 Queensland Ambulance Service Maroochydore operations supervisor Nick Haug said conditions hadn't been too bad on Thursday morning as he urged people to be "vigilant in all conditions". He said the scenes of the past week had been "quite distressing for everybody involved", including paramedics involved in the "extensive" resuscitation efforts. Mr Purchase passed on condolences to the families of both victims and said support would be given to lifeguards involved. "It's certainly tough for them," he said. "They take it pretty hard when they do lose one." Noosa Heads Surf Life Saving Club president Ross Fisher had been down at the beach earlier on Thursday morning. He left by about 8am but said while he'd been there another man had been treated for an eye injury after being dumped by a wave at Main Beach. Mr Purchase said the coroner would determine whether the exact cause of the 60-year-old man's death was drowning or a medical episode suffered in the water.